Boa Constrictor Imperator is a nonvenomous boa subspecies found in Central America, northern parts of South American and some of the surrounding islands. 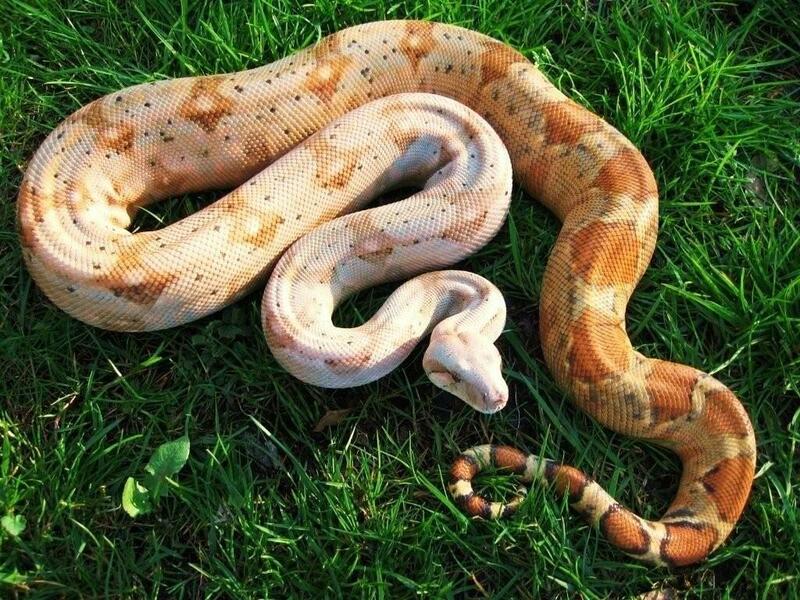 Sometimes called The Common Boa. As a result, the appearance of this snake varies greatly depending on the specific locality. The Boa Constrictor Imperator is a top nocturnal predator that kills its prey by constriction. Although it prefers small mammals such as rodents and bats, it also eats birds, amphibians, lizards and iguanas. One population is found on the Cayos Cochinos (Hog Islands) off the northern shores of Honduras. These are naturally hypomelanistic, which means that they have reduced melanin, and are thus more lightly coloured, although they retain the distinctive darker tail that is characteristic of most members of this species. The Hogg Island boa boasts striking coloration, and is able to change its Color according to temperature, mood, time of day and health. Although B. c. imperator exhibits almost identical patternation as the recognized subspecies of Boa constrictor, this subspecies often has a much darker tail, usually dark brown or very dark red. They are however, usually just as colourful as their counterparts, and like the larger boas can be bred into a variety of different morphs given the right conditions to breed. Click HERE for a Boa Constrictor Imperator care sheet.